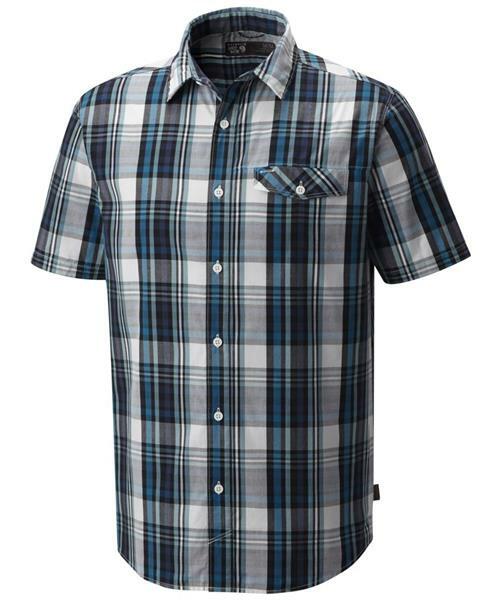 A short-sleeve shirt in an original in-house plaid fabric blend that is 76% cotton and 24% polyester. This is a versatile piece that wears easy and is a breeze to care for, with sharp colors that catch the eye. It pairs well with almost any Mountain Hardwear pant or short.